Decorate your cabinets , refrigerators or anything similar with the fridge sticker representing David Michelangelo . 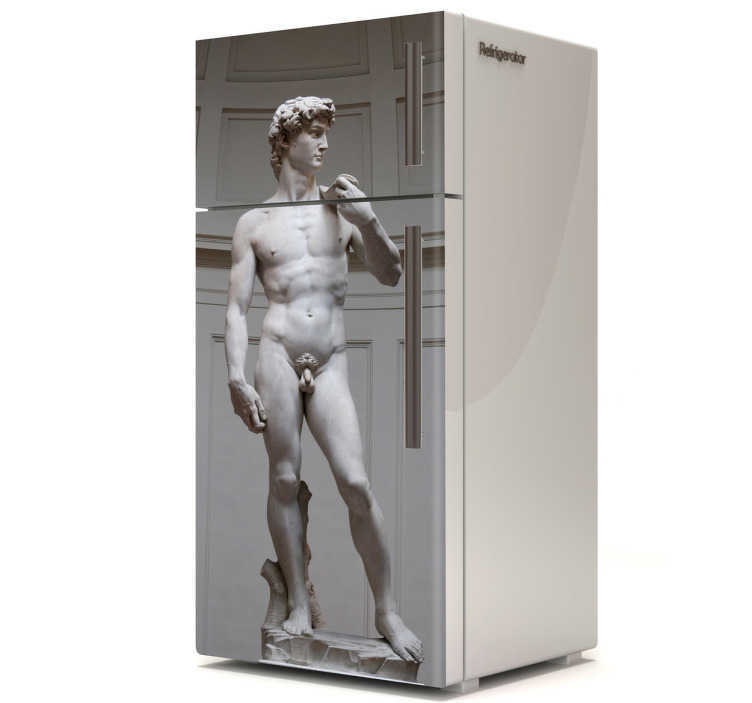 Imagine the Biblical hero David, a favoured subject in the art of Florence on your cabinet, fridge, freezer what an honour that would be! The sticker is made ​​of high quality vinyl . Very easy to install and remove without damage and that alone puts a lot of people at ease. David is the one and only masterpiece of Renaissance sculpture created between 1501 and 1504 by Michelangelo. However we can't understand if you can't fit the 5.17-metre marble statue in your house this is an excellent alternative of appreciating the beautiful, historical piece. Please let us know the dimensions of your closet so that we can customise the sticker exactly according to the measurements. Available in many sizes and colours too!